Room 10b of the British Museum is devoted to a graphic portrayal of the Siege of Lachish, in the form of a stone frieze running around the walls -- just as it would have done in Sennacherib’s palace at Nineveh 2700 years ago. Lachish, about 50 km south-west of Jerusalem, was one of the fortified cities destroyed by the Assyrian army when they invaded the Kingdom of Judah in 701 BC. When Victorian archaeologists discovered the Lachish relief in the ruins of Nineveh, in what is now northern Iraq, it caused a sensation. The events depicted had previously only been known from one source: the ancient Hebrew scriptures that Christians refer to as the “Old Testament”. As with other Assyrian artifacts (see The Bible’s Excluded Middle), the Lachish carvings provide independent evidence indicating that at least some of the events described in the Second Book of Kings did actually take place. More significantly, taken together with other Assyrian records, they more or less prove that there really was a Kingdom of Judah that had its capital in Jerusalem at that time, and that it was considered important enough for Sennacherib to bother having an extravagant frieze carved to record his victory over it. While the Biblical connection was of immense importance to the pious Victorians, it’s not the thing that makes the Lachish frieze so fascinating to modern-day visitors to the Museum. 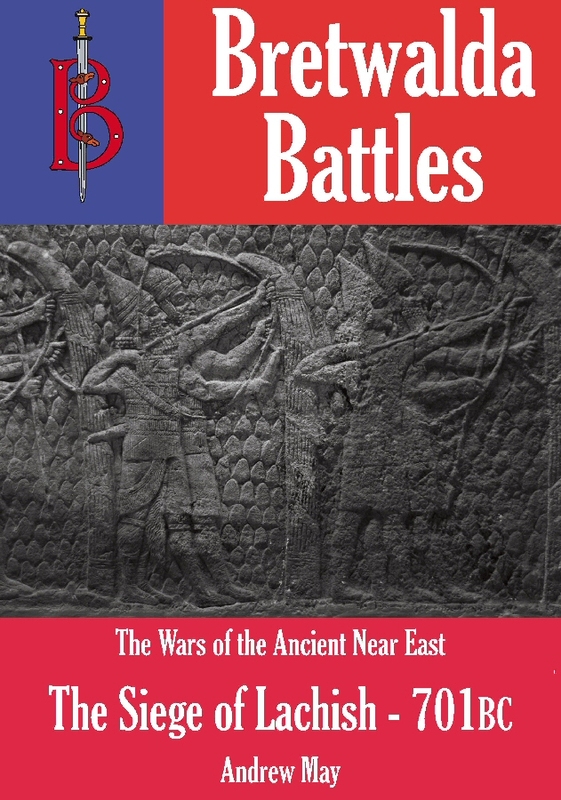 It’s the detailed and realistic depiction of siege warfare in the ancient world, which brings events from almost three millennia ago to life in a uniquely vivid way. To modern eyes, the Assyrians are more interesting than the Israelites, simply because they were more modern in the way they went about things. Their world centred not around religion, as was the case with most ancient civilizations, but around warfare... and warfare conducted in a ruthlessly efficient style. 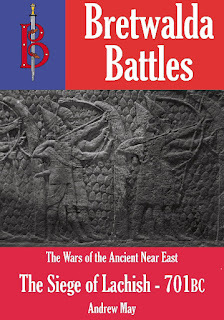 To find out more about the Siege of Lachish, get a copy of my new “ebooklet” on the subject -- just published by Bretwalda Books, and currently available from Amazon.com , Amazon UK and Smashwords, with more retailers to follow shortly. My previous contribution to this series, The V-2 Offensive on London is now available from iTunes as well as Amazon and Smashwords.